Cat's Walks: Go Ate Vi! When I was young(er), the Philippine population can be separated into Noranians and Vilmanians. I was neither. Ate Vi's dance numbers in V.I.P (later Vilma) or her critically acclaimed movies didn't manage to convert me to her side of the force. I thought nothing can convert me until I read Howie Severino's interview with Ate Vi about demolishing half of the fish ponds in Taal lake. I didn't know she made sense until today. 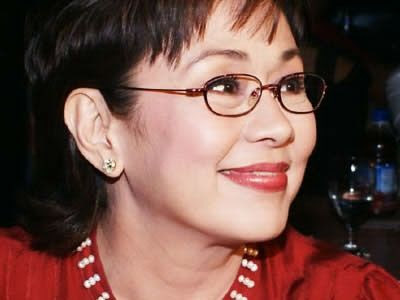 Sometimes passing through Lipa, Batangas, I see her name written in big letters on the walls of the schools she built. For me that didn't really mean she was a good mayor, all it meant was she was good in public relations and she can spell her name. Cleaning up Taal Lake is another matter. That shows strength of character, environmental conciousness, and forward thinking. How can one convince fish pond owners to give their livelihood without violence? How can one even think of advancing a program like that without fear of losing in the next elections? 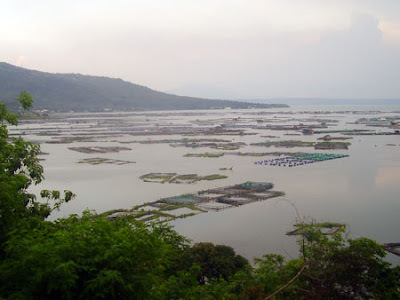 I love Tilapia but the illegal fish ponds cultivating them are killing Taal Lake. The Tilapia farms are also killing endemic species like the tawilis. If we want a living lake that we can all profit from for many years to come then we should start working for its survival now.